For bed-bound patients who are at risk of developing pressure sores, choosing the correct pressure relief option is crucial, and mattress overlays provide an excellent way to transform a regular mattress into a pressure relief mattress. 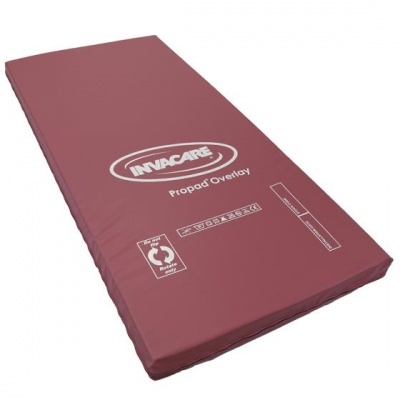 The Invacare Propad Pressure Relief Mattress Overlay is an ideal choice, designed to sit on top of the existing mattress, providing enough relief to be suitable for patients at high risk of pressure sore development. This mattress is available in three sizes, for either Single, Double or King Size mattresses. Choose your desired option using the drop-down menu at the top of the page. Those who are at high risk of pressure sore development require formidable pressure relief, and this overlay is a suitable option. 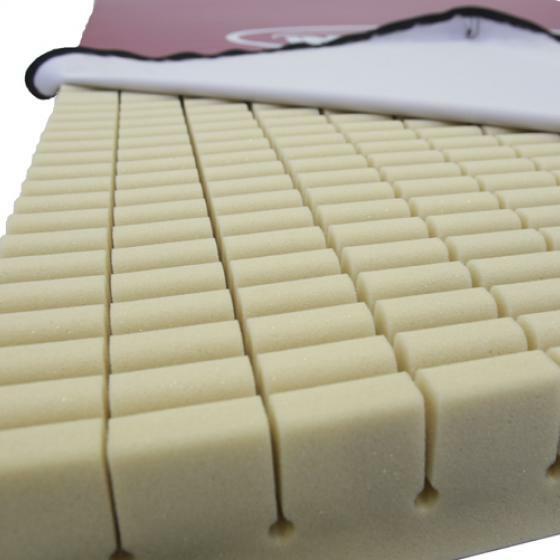 It features a foam core with independent, geometrically-cut surface cells, greatly reducing the shear and friction that can lead to pressure sores. Its design increases the overall support surface area, reducing the pressure placed on peak areas. The foam cells in this overlay are larger in the centre to support the majority of the weight, and smaller on the outside to conform to the shape of the user's body. This design allows the mattress to achieve remarkably even weight distribution, accounting for the form of the patient's body and cradling any bony prominences. The Propad Overlay comes fitted with a multi-stretch, water-resistant and vapour-permeable cover, making it highly comfortable while allowing it to adequately protect the mattress. The cover helps to reduce shear forces while preventing falls with its anti-slip base. It also includes a white underside, making it easy to inspect to ensure full infection control.